Home health care services can help you out a lot for a number of reasons. The main purpose for this kind of service is to help maintain your health in the comfort of your own home. However, home health care can assist you in many other ways as well such as with your daily chores and with your personal care issues. When you have an illness or an injury but you do not want to stay in a hospital or clinic, then it is important to find good Home Health Care Services in Ohio such as Buckeye Home Health Care. Personal CareIf you are finding it difficult to go to the bathroom on your own or do the simple things like getting dressed, it is time to consider personal care services. These services are designed to provide you with the support you need to get through the day. Whether it is through respectful help when you need to use the bathroom or if you need a helping hand with your personal hygiene, we are completely at your service. Homemaking When you are at home recovering from an illness, an injury, or if you need healthcare to maintain your health, the last thing on your mind is going to be cleaning the house or doing the chores. We can handle these things for you! We can help prepare your meals, make sure the home is clean, and simply do your daily tasks so you do not have to stress out about them and focus on getting better. 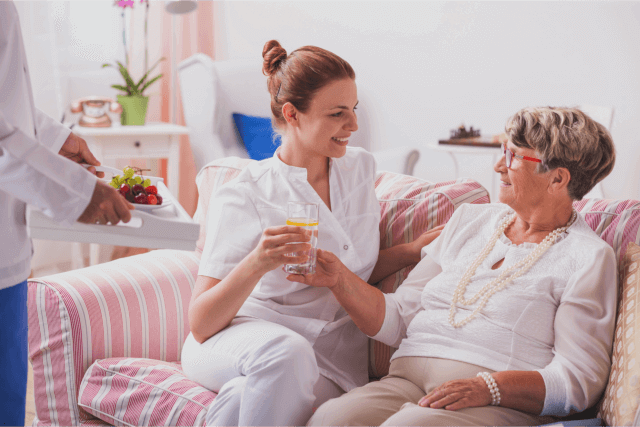 HealthcareThe best part about a home health care service is the fact that you can get high quality and professional healthcare in the comfort of your own home. After all, the place where you will recover best is the place you love the most! If you would like to find out more about our home health care services and what we are able to do in order to assist you, feel free to visit our website buckeyehomehealth.net for more information now. If you have any questions that you are interested in asking us, please do not hesitate to give us a call now at 614-776-3372. Let us help you live a better life in the comfort of your own home today. This entry was posted in Health and tagged Healthcare, Home Making, Homecare, Personal Care. Bookmark the permalink.